year has 15 films, out of which 3 are Indian. The section represents films produced and co-produced by 22 countries, according to a Press Information Bureau statement. On the occasion of the 100-years anniversary of Ingmar Bergman’s birth, IFFI will have a retrospective section of seven of his career-best films. A documentary on Bergman titled “Bergman Island”, which presents the master behind the camera, is one of the movies included in this section. The official opening of this section is scheduled on November 21st with the screening of ‘Wild Strawberries’. “Lekin” and “Amar Akbar Anthony”. IFFI will open with the World Premiere of “The Aspern Papers”, which tells a story of obsession, grandeur lost and dreams of Byronic adventures. Its star cast, including actors Jonathan Rhys Meyers, Joely Richardson, Julia Robins, Morgane Polanski and Nicolas Hau, apart from director Julien Landais will be a part of the delegation at the festival. Mumbai have been selected for the country focus package. Seminar is slated to be held on 22nd November,2018. A state focus section has been proposed for the 49th IFFI, 2018, and Jharkhand is the chosen one this time. Movies in the Jharkhand package include titles like “Death in the Gunj”, “Ranchi Diaries” and “Begum Jaan”. 21 non-feature Indian chosen by the jury. Shaji N.
Karun’s “Olu” will be the opening feature film of the segment, while “Kharvas” directed by Aditya Suhas Jambhale will be the opening nonfeature film of Indian Panorama 2018. The untold story and Soorma. 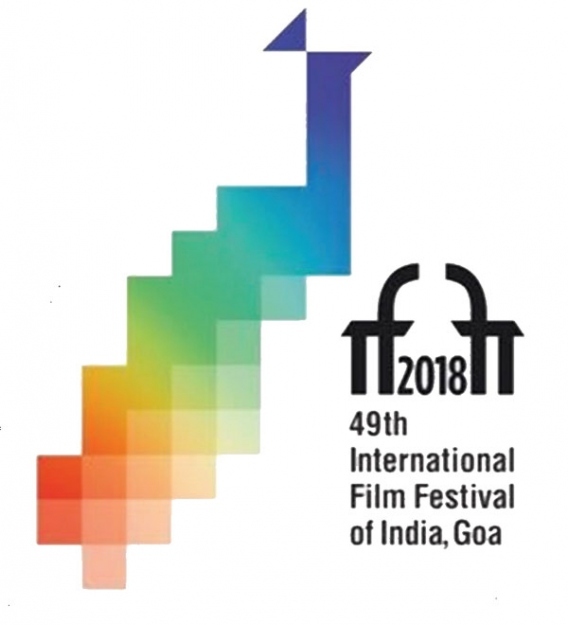 At IFFI this time, the ‘Homages’ section will pay tributes to Shashi Kapoor, Sridevi, M.Karunanidhi and Kalpana Lajmi from India,and to Terence Marsh, Milos Forman and Anne V Coates from the foreign world. Meghna Gulzar, Leena Yadav and Gauri Shinde. of a film to be presented with this coveted award. Making inclusivity count, there will be a special package for visually impaired children with screenings which shall have audio description. “Sholay” and “Hichki” will be showcased under this section.